Is war ethical when one side has a massive “technological” (or magical) advantage over the other one? Is it ethical to attack the enemy by burning them alive — and sending them to a truly horrible death? I would argue that Daenerys’ decision to immolate Lannister soldiers was less than ethical. Jon Snow warned Daenerys before she left that “burning castles” would make her no better than the Lannisters and all the other cruel leaders who went before her. Burning people at the stake is considered to be an exceptionally painful form execution, one so horrific that it is rarely practiced outside of ISIS dominated regions. Should Dany have used Drogon to burn the Lannister men alive? Oh, this is difficult, Jaime. Drogon got winged so Dany is not technically invincible. Depends how many of them thar scorpions there are in existence because I think Drogon burned the one that had been used against him. I remember at the time of the first Gulf War the story the spin-doctors were giving out was that the cruise missiles were going to be aimed at military targets but there were still civilian casualties. When I was typing on another thread I meant to say that the carnage after the battle made me think of Robert Oppenheimer’s (inventor of the atomic bomb) quote from The Mahabharata of “Now I am become death” http://www.wired.co.uk/article/manhattan-project-robert-oppenheimer – though the linked article does say that the translation from the original text may be slightly awry. I saw Peter Brooks’ adaptation of The Mahabharata on TV many years ago. It was impressive but although it ran for 9 hours total (3 episodes) a lot of the full epic had to be cut (now what does that remind me of?). I haven’t seen Peter Brook’s adaptation. But if Dany keeps up with this dragon business she will become death. But, Watcher, you’re right. Drogon isn’t invincible. I hadn’t thought of that. But, no opponent would ever be able to match a dragon’s fire power. Thinking aloud… Do battles need to be fair though? After all, one side will win and many will die? Also love the original Mahabharata. I often think that GRRM’s painful reflection about war itself can be somewhat healed by this longest and oldest poem. Actually I may have misremembered which version I saw – the TV version may have been reduced to about 6 hours rather than the 9 hours of the live play. I think there was some controversy about P Brook using an international cast rather than a cast of Asian ethnicity but I thought it possibly made it more accessible to an international audience. There have been Indian adaptations I think. I don’t speak the language of the original Mahabharata so I don’t know how much was lost in translation but it did convey (to me at least) the brutality and destruction of war. In a briefer way Robert Southey’s poem about “The Battle of Blenheim” https://www.poetryfoundation.org/poems/45178/the-battle-of-blenheim brings up the inhumanity of war. I remember you said that Tywin Lannister was right when he argued that it’s better to kill off Robb Stark and family at the Red Wedding with deceit and treachery (and a break from moral code) than killing thousands of soldiers on the battlefield. So then, it would also be better if Daenerys and Drogon fly to the Red Keep (they were outside of KL anyway) and burn down the palace with Cersei in it, wouldn’t it? I cannot take credit for this argument, which was presented in the Nerdette Podcast with Peter Sagal. Nevertheless, all the awkward and unconvincing arguments that “You don’t want to be the queen of ashes” and “I don’t want to be the queen of ashes” (not to mention the miraculous travels of Euron Greyjoy, etc.) are not driven by ethical concerns for the people of KL but rather to force Dany and Jon Snow down the aisle of matrimony. I suppose I’m just overthinking it. Oh Jun! I ***love*** this comment. It makes me think. 😀 (E.g., Am I contradicting myself? Do I have a double standard for characters I like (TV Tywin) and I don’t really like (TV Daenerys and (less so) Book Daenerys)? I think one major difference might be that — I think — death by dragonfire would be a significantly more painful death than having your throat cut. We no longer execute criminals by boiling them in oil or flaying them — these punishments are considered too barbaric. The 1977 Geneva Conventions bans weapons like Napalm and other incendiary weapons. I’d heard this before, but I had to google it because I’m not that familiar with it. So, part of the reason I created the poll and wrote the article about Dany is that I’m aware that certain weapons of war are illegal and considered too terrible even for a war. Even though I don’t know much about this topic, I figured these weapons must be banned for good reason. I also think that there are ethical issues in how war is waged, and I believe these are worth us thinking about as a society. In fact, I think this is what GRRM is driving at with the Wildfire (which kind of parallels Napalm) and dragonfire (which kind of evokes air-delivered weapons, bombs from above, air-delivered incendiary weapons, etc.). But, I digress. I think there may be a difference between Tywin and Dany in terms of how humane their methods are. Good point. So I’m inclined to agree with you, but then I find myself thinking that it doesn’t seem like a fair fight. But, does war really have to be fair? I don’t know. I mean, I believe one argument against drones is that people think it’s an unfair fight. But, does that really matter? Historically, war has never been fair. Some armies have had 3-4 times the number of soldiers as their opponents. Does that matter? I don’t know. I’m a history buff, not a philosopher. :>) But, I do think these are interesting questions and I wonder if I’m overlooking something when people complain about drones. I don’t know. What do you think? 3. re: your last para about driving Jon and Dany to wed.
Oh, Jamie! Thanks for liking my comment. I’m afraid I agree with you that you might have an unconscious double standard with which you judge characters you like and those you don’t like. The argument that Tywin is better than Daenerys because cutting someone’s throat is less painful than burning them alive is a bit, hmm, tortured? (No pun intended.) I mean, putting aside the technicality that dragon fire is so hot that it instantly incinerate anything, do you really think Tywin gives a toss about whether his victim suffers pain or not? 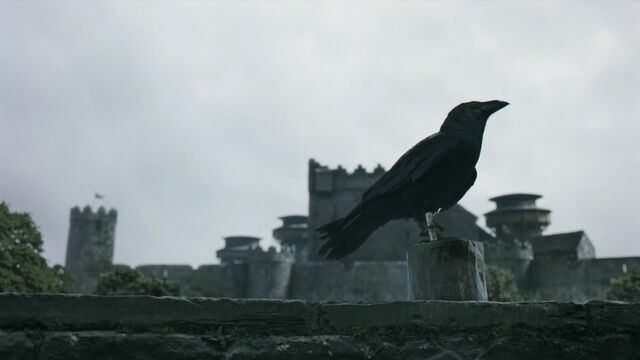 Given his personality, do you think he wrote in his letter to Walder Fray to not let the killings of the entire Stark clan and their friends be too painful? It seems that our perspectives differ primarily because I’m fundamentally a fan of the novels and therefore look at the issues from point of view of how GRRM presented them, rather than looking from the TV show’s perspective. So my impression of most characters is derived almost entirely from how GRRM wrote them, which increasingly deviates from how they are in the show. Purely from the show’s perspective, only 1 character stands out in my mind: I cannot stand Jon Snow as he is portrayed by Kit Harrington. Jon Snow is a lot more tolerable in the books, although still not one of the most memorable or interesting characters. In the show though he’s become a bad cliche. I want to emphasize that ultimately I blame GRRM. If he has given up on finishing the novels he should just come out and tell everyone to stop waiting already. These days with GoT it’s so difficult to know what is from GRRM’s forward planning and what is show only material. I’m not a dramatist so can’t speak from experience but it must be extremely hard to adapt an unfinished story. I tried to think if there was any viable way Dany could have acted other than that given in the show if she doesn’t want to come over too much as the tyrant. Could she have flown her dragons round the Red Keep as a sort of sabre-rattling without unleashing fire – letting the people of Kings Landing know what she has at her disposal. Although I suppose “putting the frighteners” on people is not exactly ethical. Lol. Well, I am perfectly willing to admit that my dislike of Daenerys may be making me biased. (I’m also willing to admit that my love of Charles Dance and Iwan Rheon’s performances distorts my perception of the characters in general.) I don’t have any true knowledge of the relationship between actors’ performances and the words writers actually put on the page, but I think there must be some kind of dynamic between what the story was originally intended to be and how casting and then delivery (or performance affect it). Take Ramsay for example. Book Ramsay is quite different than TV Ramsay. Book Ramsay has a difference backstory. He actually knows his mother. He lives with his mother for part of his life. And, book Ramsay is particularly unpleasant. When I envision him in my mind, he looks nothing like Iwan Rheon. Sure, he has pale/ice blue eyes (which I think Iwan Rheon does have) but he is colder and physically bigger and stronger. There is nothing that made me like Book Ramsay. TV Ramsay is (in my mind) a smaller person physically. He has a softer voice than I imagined. I also think that either a) Iwan Rheon has a likeability to him in real life that slips into his roles or b) he has decided to make the role more likeable through his performance. When I watched TV Ramsay, I found liking or admiring him sometimes. I kind of thought he had style or something. I don’t know — and have never analyzed — whether the show includes lines that make me like Ramsay more or if there are more scenes from his point of view or if it is the way Ramsay is written. I admit I often have difficulty fully appreciating adaptation if I really like a book to begin with. Perhaps this is my inherent bias in favor of books, even though I watch plenty of TV/movies, as books allow a larger parameter for the imagination.